Dutch photographer Jan Vermeer has succeeded in capturing the entire North Pole region, with all its variety, in photos. 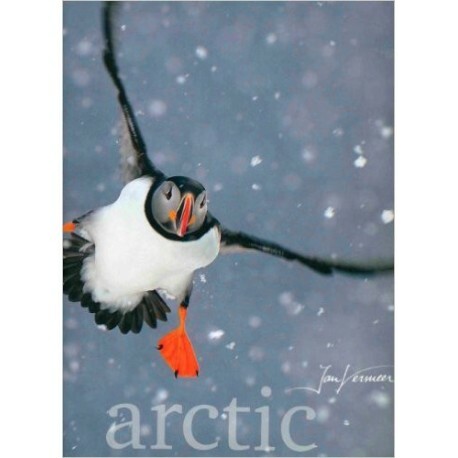 To this end, he travelled many thousand of kilometres and photographed endless landscapes, spetacular northern light, colourful birds, and naturally the most important animals, such as the polar bear, musk ox and walrus. Fifteen short texts by Frieda van Essen tell of the history North Pole expeditions and the accompanying artists.